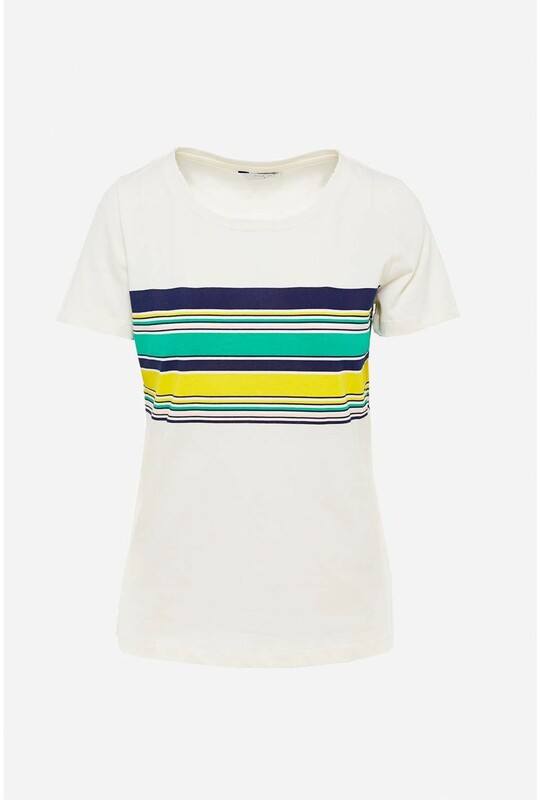 T-shirts are a wardrobe staple for the summer season. 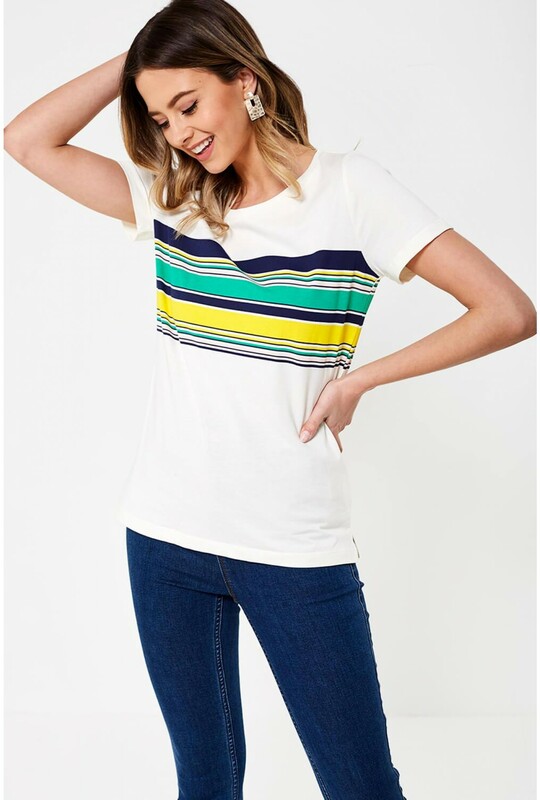 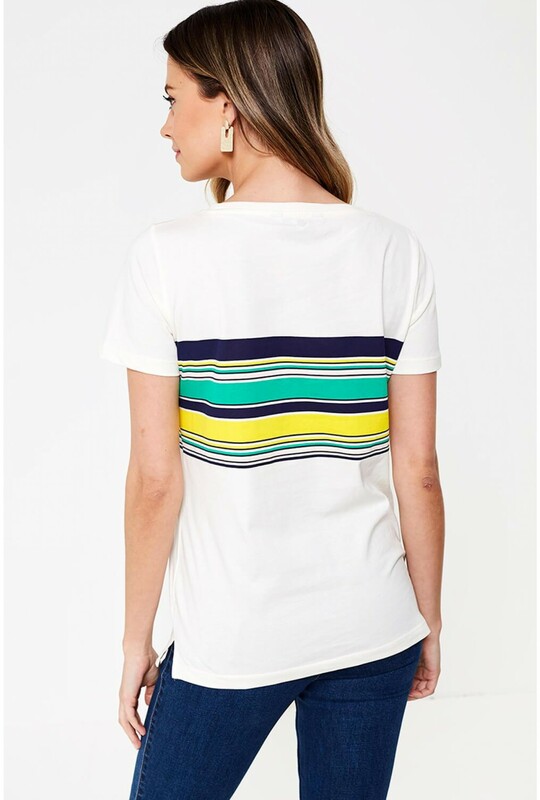 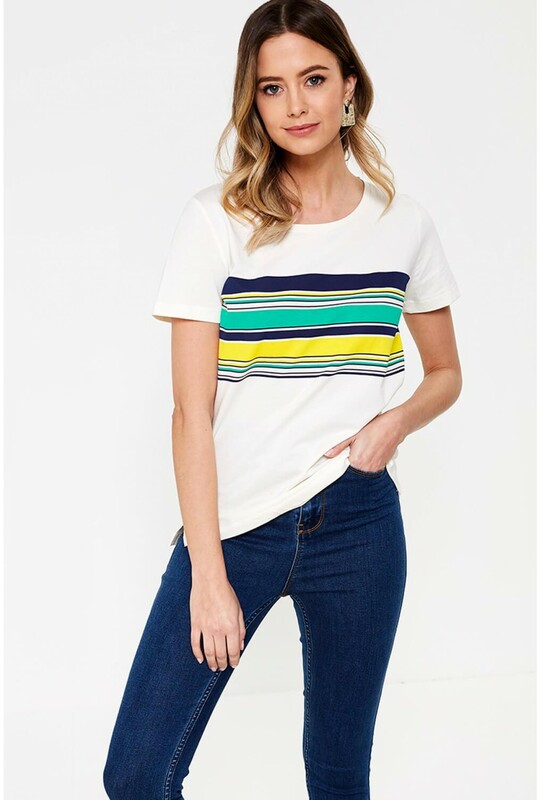 Add to your collection with this striped t-shirt from VILA JOY, made from 100% cotton. 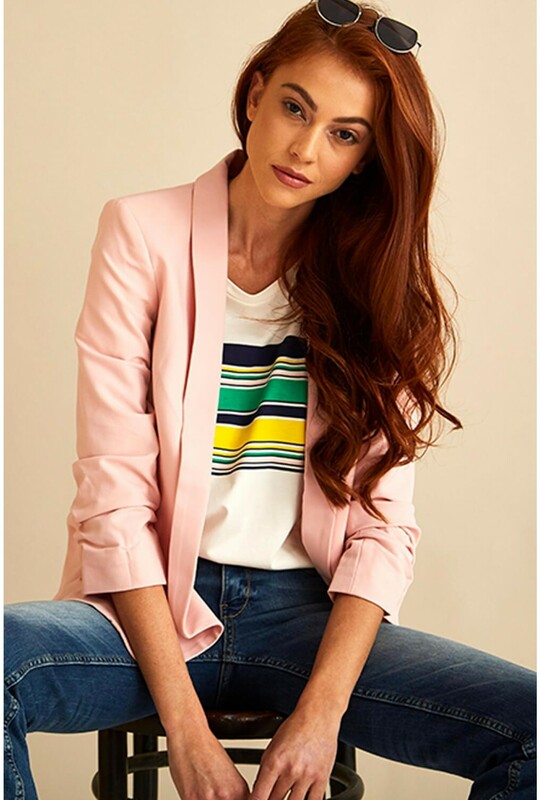 Team with a blazer and denims.